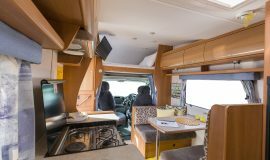 The Beachcomber motorhome is a 25-foot-long motorhome that sleeps 6 people (compliant to carry 4 passengers). 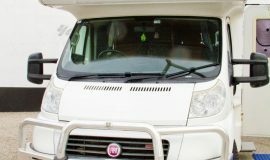 The vehicle is easy to handle and drive, it’s an automatic, uses diesel fuel, has cruise control, and even has a reversing camera installed. 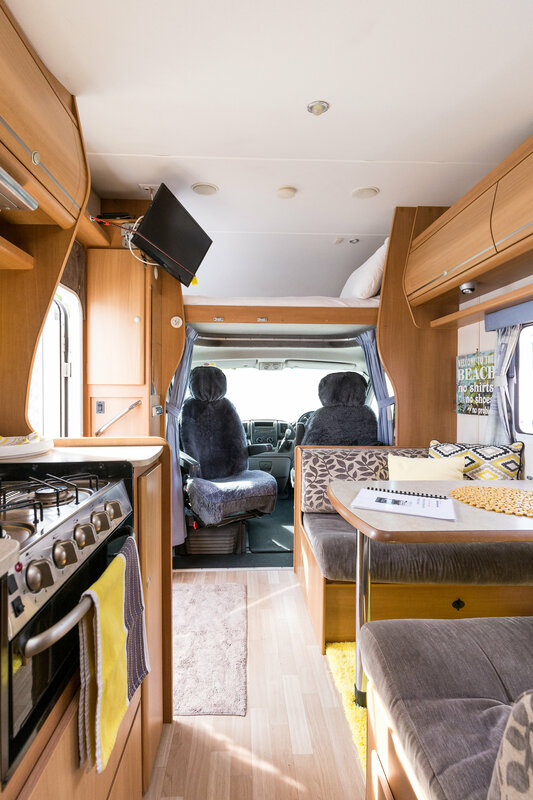 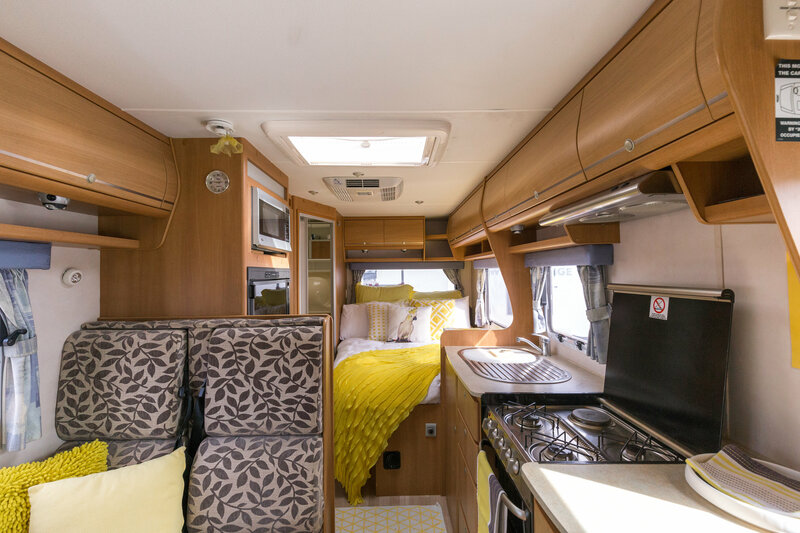 For comfort, functionality, and safety, the Beachcomber has reverse cycle air conditioning, TV/DVD, full kitchen, microwave, automatic refrigerator/freezer, toilet and shower, bike racks, baby seat buckles and much more. 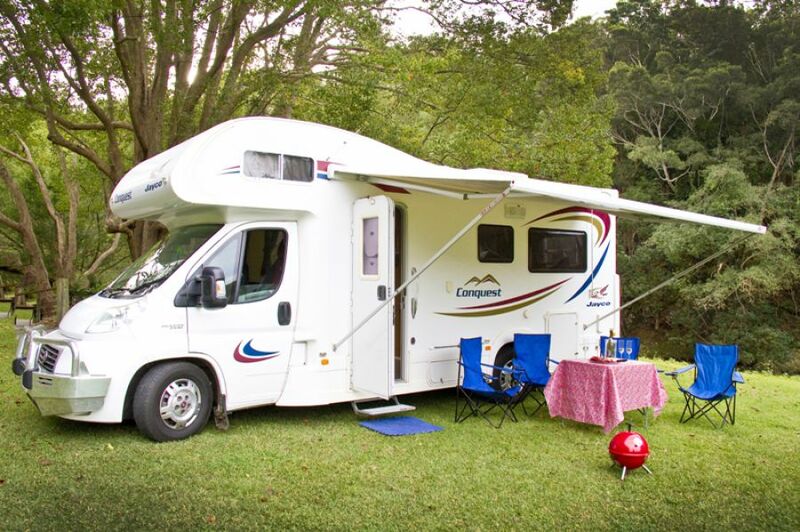 If you enjoy the outdoors, you’ll love the awning (complete with an awning mat), outdoor table and camp chairs. 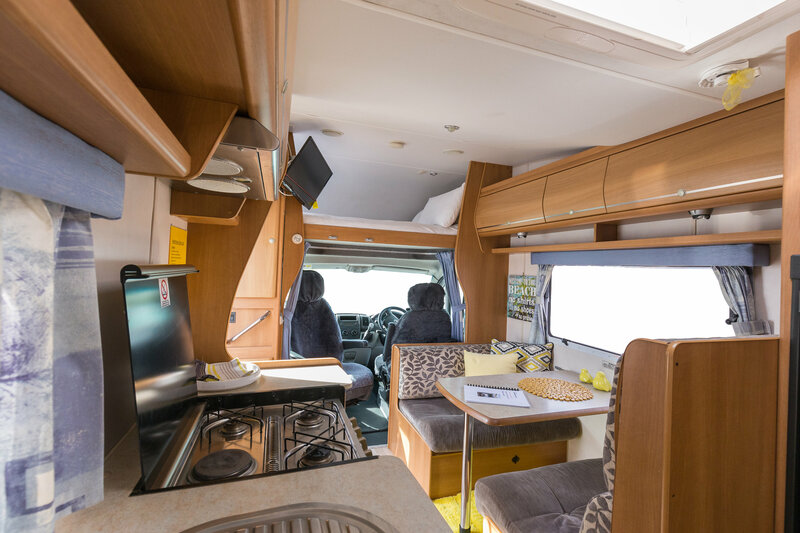 The Beachcomber motorhome is even equipped with Bluetooth technology for an awning light and outside music system. 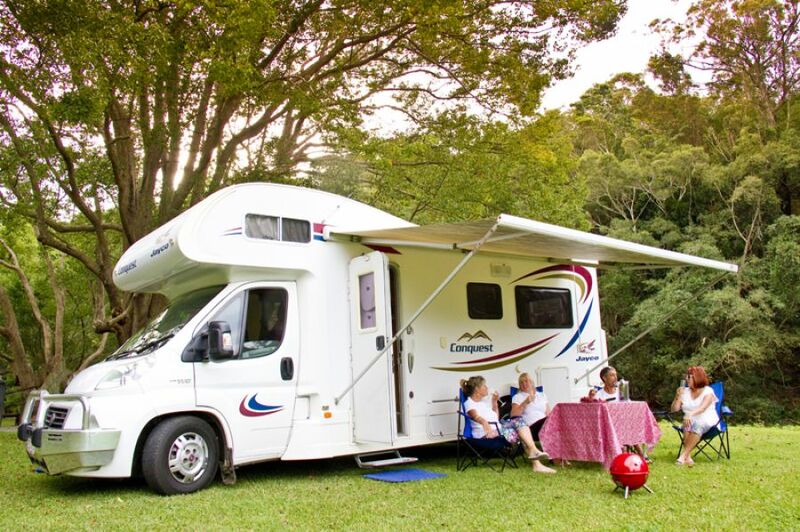 You can even go off the grid with the Beachcomber as it has solar panels installed! 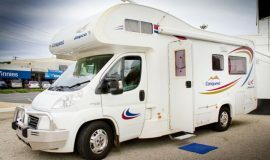 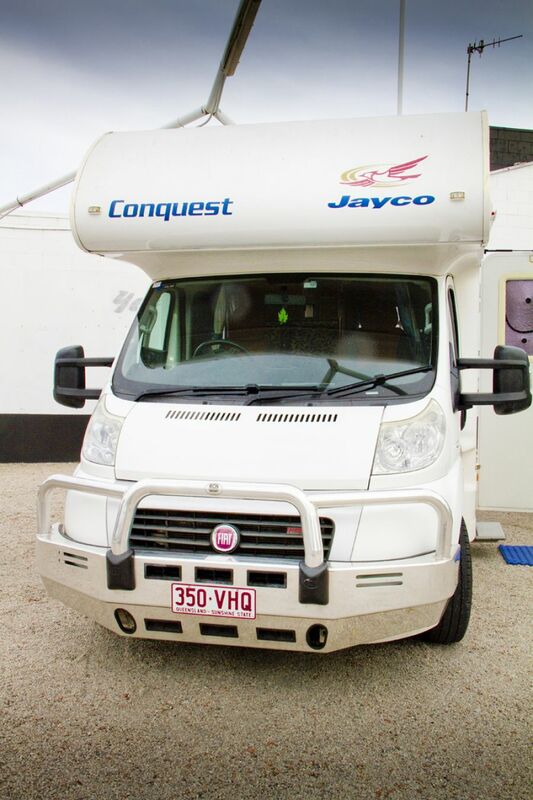 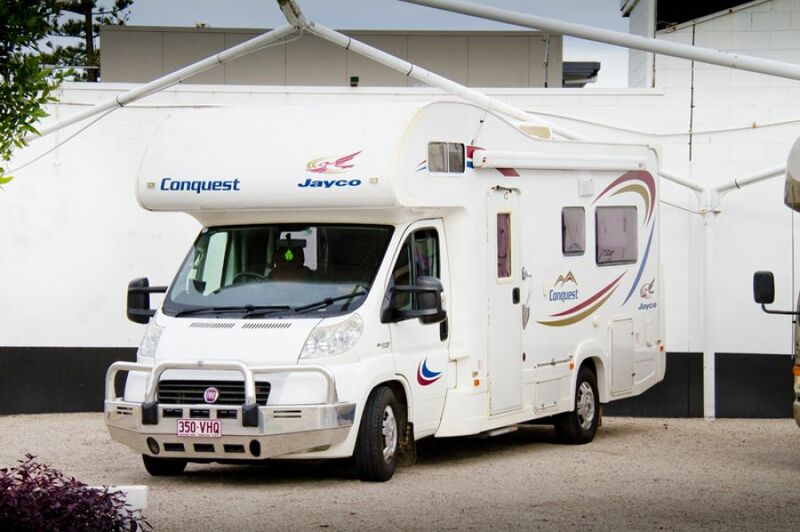 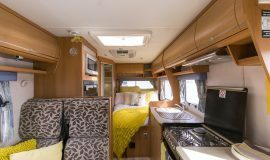 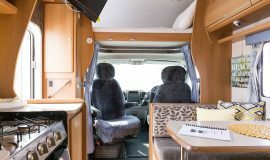 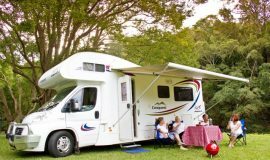 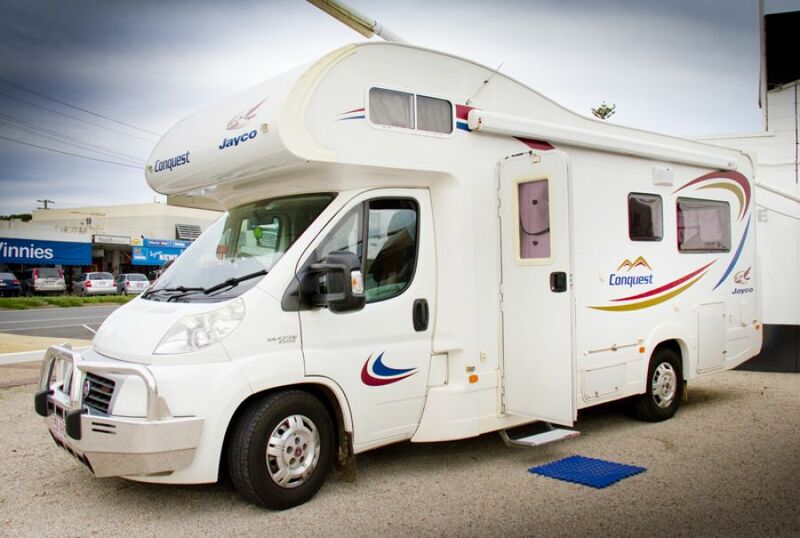 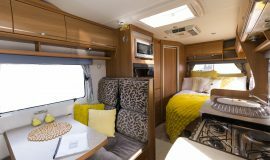 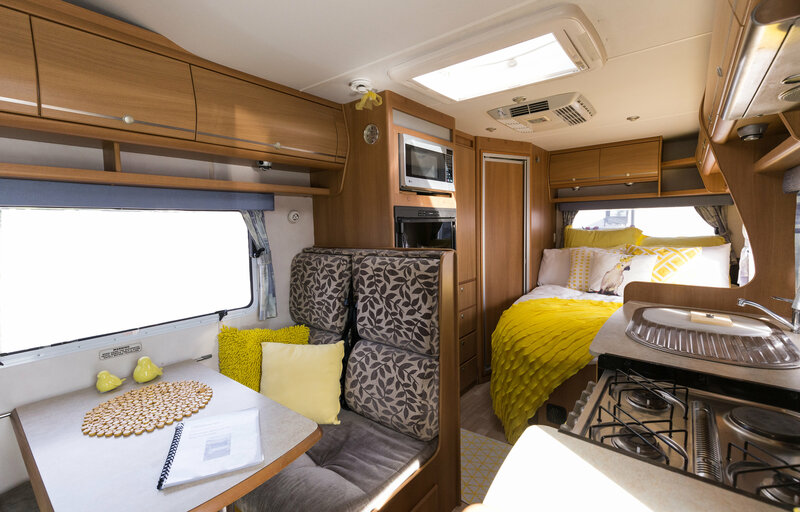 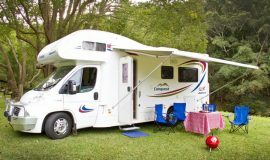 Overall, Beachcomber is a very modern motorhome with a permanent bed at the rear and lots of storage/cupboard space. 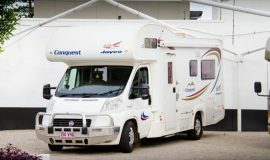 This vehicle is suited to main roads and highways only.